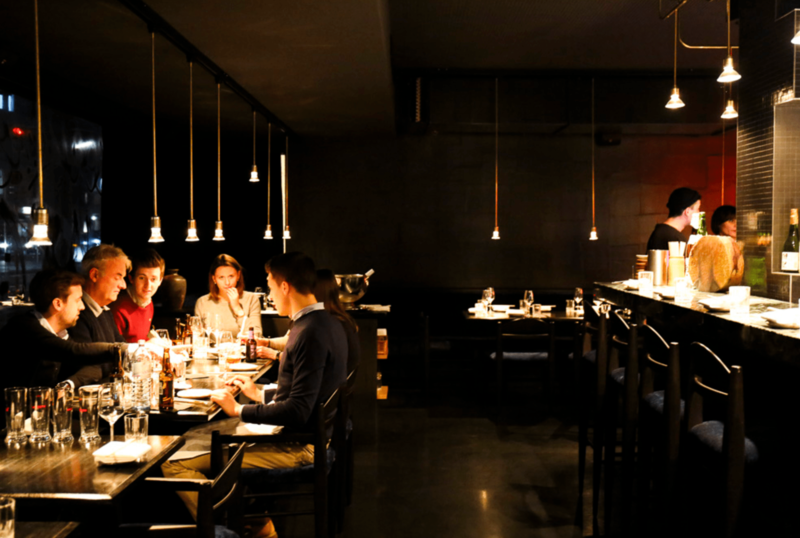 The short version: beware of Stacked Diner’s brazen deception. A wintry afternoon in Cape Town. Skies, grey. Stomach, rumbling. A lunchtime craving arrives on schedule. Carbs, today’s your lucky day! I fire up the OrderIn app and start browsing. A burger? Nah. Pizza? I don’t think so. A wrap? Um, no. Hold on, what’s this, Belgian waffles you say? What sweet temptation. Let’s do this! 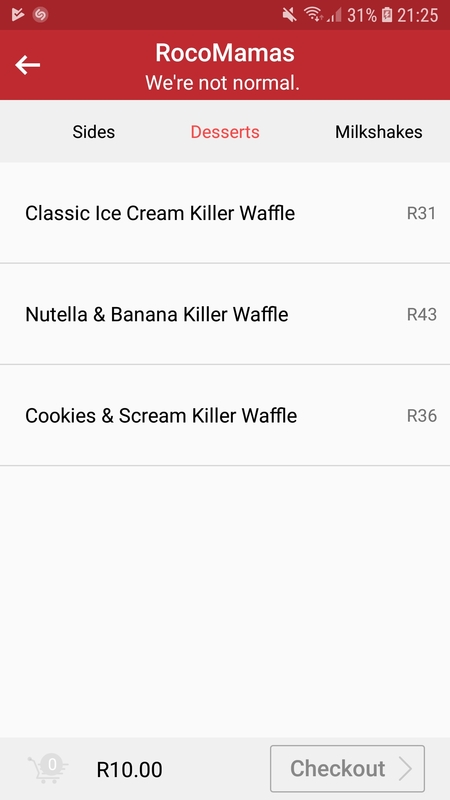 A Belgian waffle for R24 sounds awesome. Onwards! Oh nice! 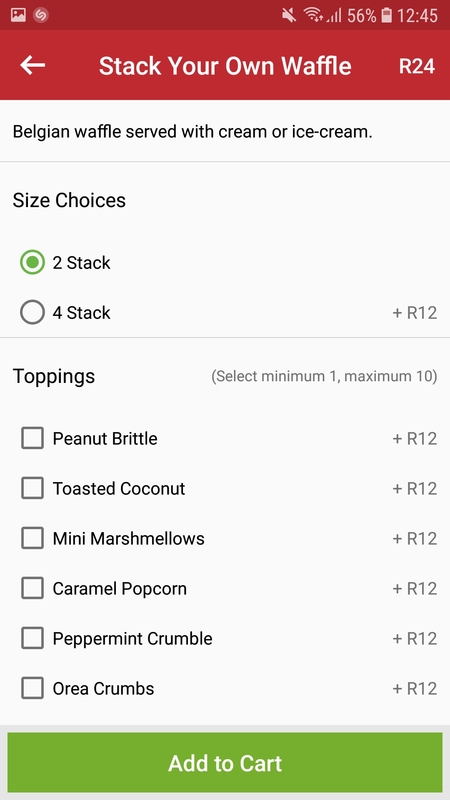 It’s a 2 stack for R24. Even better. Day made. I mean I know they’re cheap to make, and Stacked Diner is a fast food joint, so I don’t expect the 2 waffles to be artisan quality at this price, so everything’s rosy. Let’s add this baby to the cart and get it delivered! Hold on. Error. I have to add a topping. That’s another R12. Not happy, but ok. Can I check out now? Not so fast. I also have to add a sauce. 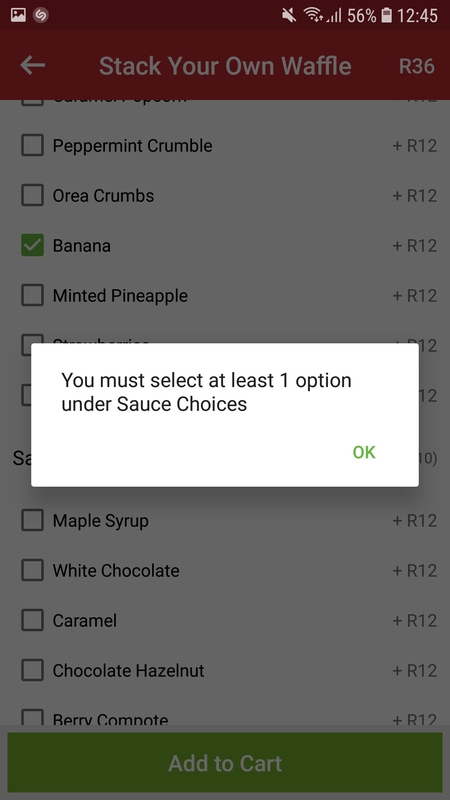 But I don’t want a sauce. That’s another R12. WTF?! 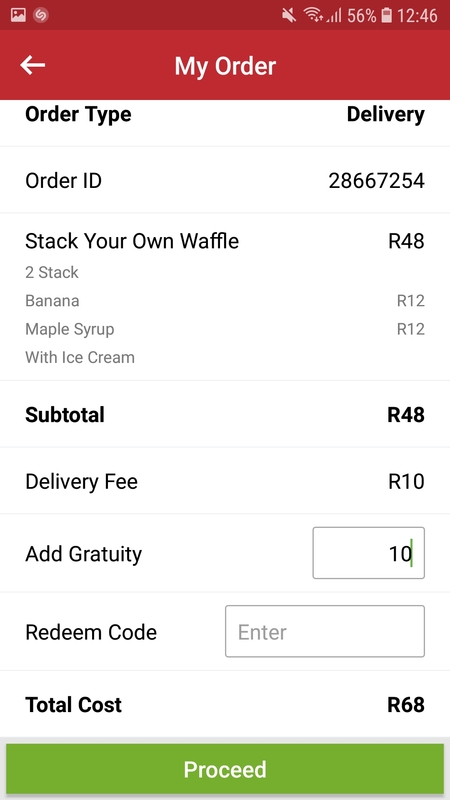 OK so now my R24 2 stack waffle is costing R48. With forced toppings and sauces. Dodgy, but let’s wrap this up. 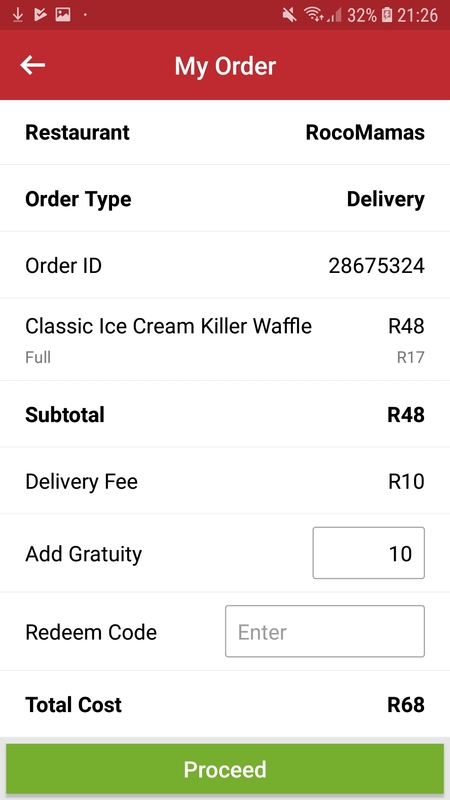 Don’t forget the R10 delivery fee, which is standard for all OrderIn orders. No problem. Can’t stiff the driver, so we’ll add another R10 as a tip. My total is now R68. I pay. 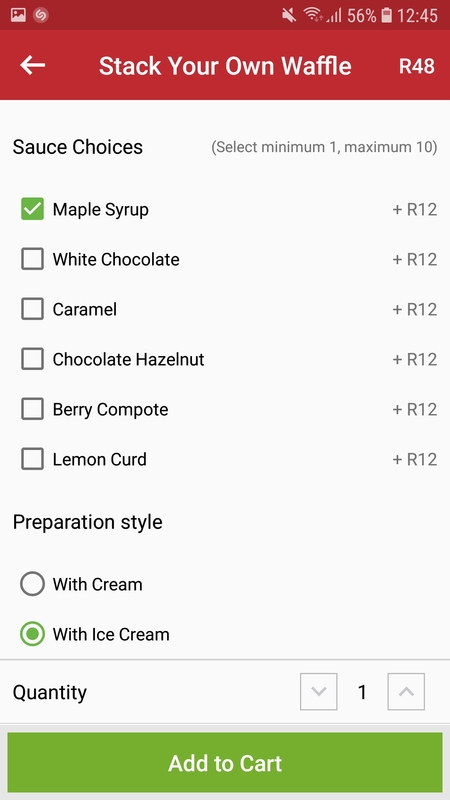 Waffles, I now await your glory. It arrives. I rip open the bag to see this. THIS! 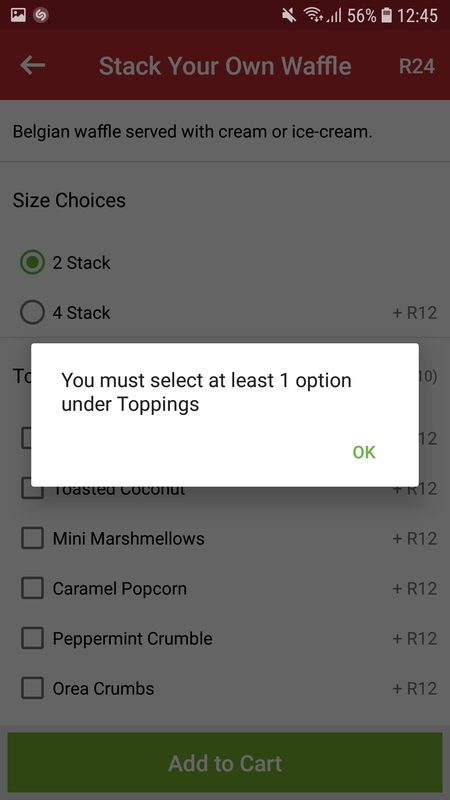 Where is the 2 stack I ordered for R48? This is HALF a waffle! Thanks for the R12 banana. Shot for the ration of maple syrup. But where the sweet hell is my 2 stack waffle? 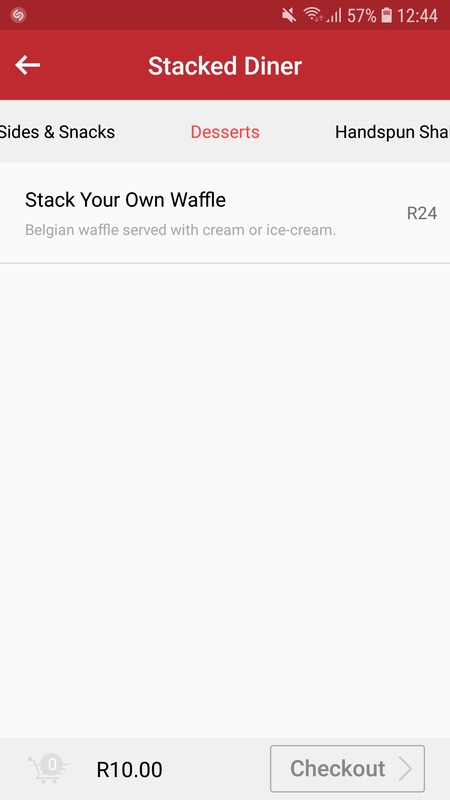 Advertise a 2 stack Belgian waffle for R24, but force unsuspecting dimwits (customers) to pay another R24 for toppings and sauces they didn’t want. Cut a waffle in half. Put the other half aside for future dimwits. Cut the remaining half in half again. Carefully layer two halves over each other. This is because we can pretend that this qualifies as a ‘2 stack’ that we advertised. Laugh all the way to the bank and wait for more orders to roll in for half waffles. I mean 2 stacks. 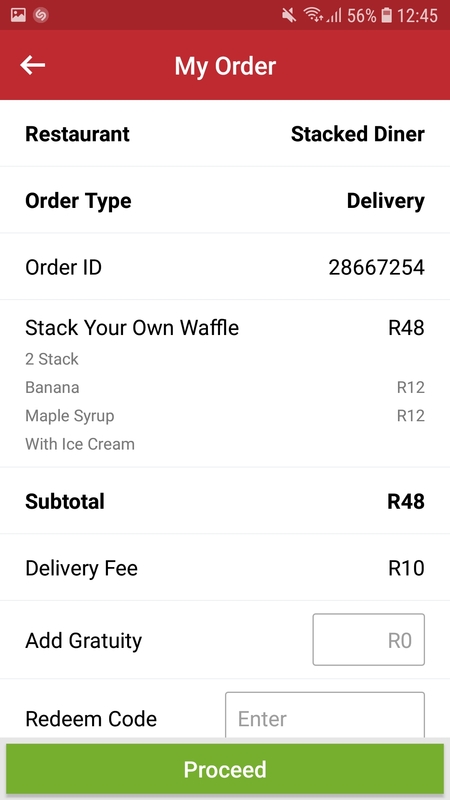 With three food delivery services available in Cape Town, the choice of what you order for lunch or dinner has exploded. But it’s obvious that some restaurants are exploiting the opportunity by using dubious pricing and descriptions in delivery apps to lure people in, rip them off, and not think twice because the customer isn’t in the restaurant to complain. Well guess what? I’m complaining. Are you listening, Stacked Diner? You should be. And you should be ashamed. I hope others doing the same are too. This stops here. Cape Town deserves better, and if you’re not going to deliver it, we’ll happily go elsewhere. 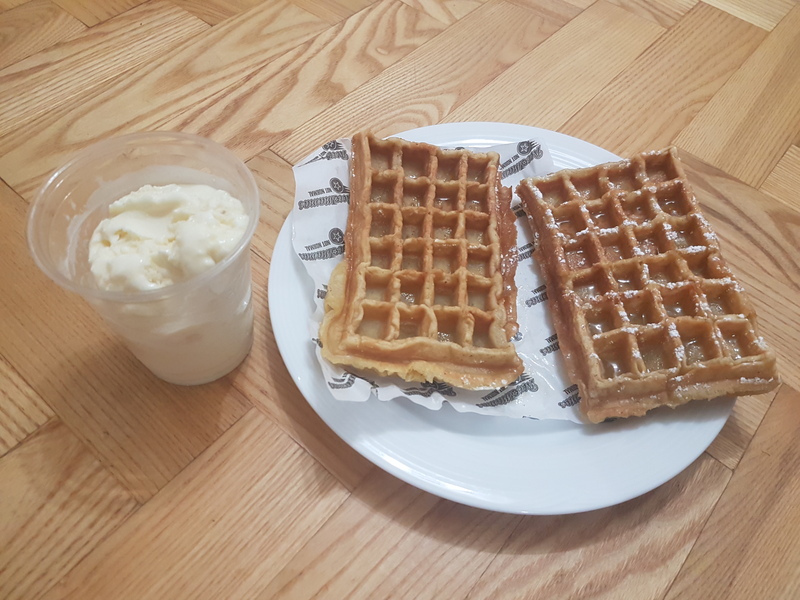 After the disappointing experience over lunch time, I decided to try again this evening and see what other Cape Town restaurants with Belgian waffles on the menu had to offer in the same price range. 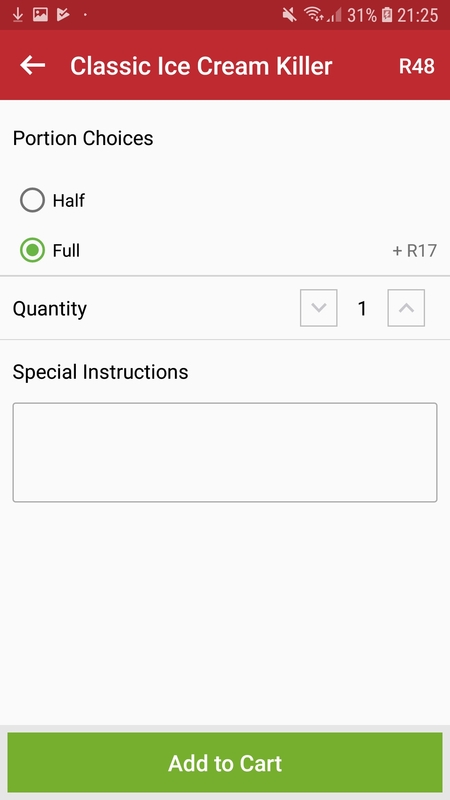 I quickly found an option for exactly the same amount (R48) from RocoMamas. you can add to your cart. No forced toppings or sauces for an extra cost. Secondly, it’s clearly labelled as a ‘half waffle’ for that price. 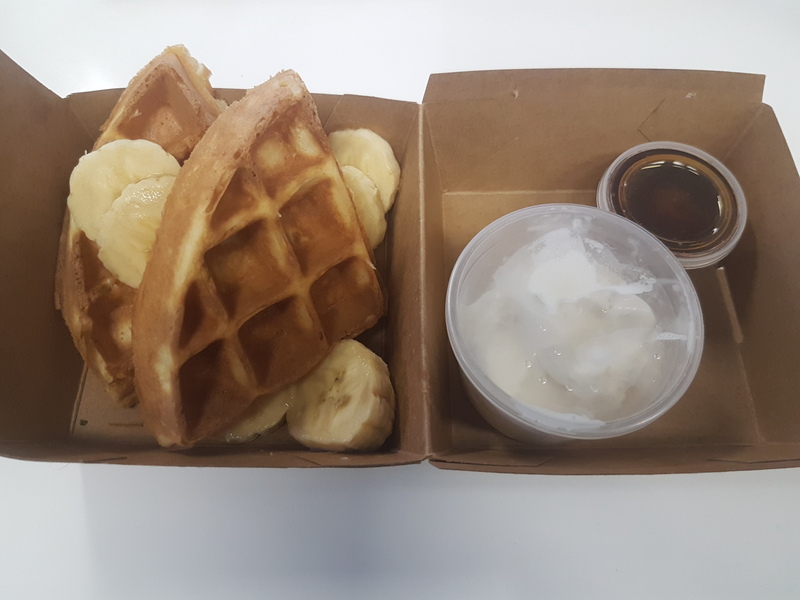 But I chose the full waffle to compare value for money for R48. Right, so we’re comparing apples with apples. Waffles with waffles. R48 with R48. So let’s see what arrived. Jackpot! Now THIS is a waffle! In fact, it’s what I would describe as TWO waffles. THIS is what I’d expect from something called a ‘2 stack’. And, ironically, RocoMamas just describes it as a ‘full waffle’. With 3 times the amount of ice cream. Oh, and free syrup too. This is how you live up to expectations and keep customers coming back for more. Great job, RocoMamas. I know where I’ll be ordering from in future. I love the world that technology has built. Cyril Ramaphosa is a new kind of leader for a new kind of South Africa. It’s a pleasure to know you, Mr President. Determined to try some real German baking, I headed out early one morning to Konditorei Buchwald in Berlin. They’ve been baking since 1852 and specialise in baumkuchen (“tree cake”), a cake baked in 15-20 layers – one at a time – on a spit in the oven. The separate layers make it a light bite, but denser than sponge, and the chocolate coated version makes this unusual cake a little bit tastier. While there, I tried a cream cake filled with Christmas flavour: cinnamon and raisins, with chocolate shavings. Finished off with some toffee rooibos tea, and set in a proper old cafe with locals filing in for a pastry fix, it was the authentic experience I was looking for, especially when sugar was the star attraction for breakfast. Bacon and eggs? Pfft. Built in 1747 and surrounded by terraced vineyards and a 700-acre park filled with 3,000 fruit trees, Sanssouci (“without a care” in French) was the summer palace of Frederick the Great, King of Prussia, used when he wanted to just kick back somewhere quiet when not in court in Berlin. With 12 rooms deocrated from ceiling to floor in gold, mirrors, art and paintings, it’s not a bad weekend retreat, is it? In some glorious mishmash of culinary culture, currywurst is one of the most popular takeaway dishes in Germany and consists of a skinned or skinless pork sausage (bratwurst or bockwurst) cut into slices and smothered in a spicy tomato sauce and curry powder. Not what I expected to find when looking for typical German street food but it definitely hits the spot, even if it takes a while for your brain to put the two worlds of flavour together. At just €4, I spent more on the taxi getting to Berlin’s Burgermeister than on the burger itself. But when you wrap your hands around the juicy beast they hand you through the window, you realise they’re undercharging by about 500%. The place is always packed, and you’ll always wait about 15 to 20 minutes, but half the charm is that you’re buying food from an old train toilet under the tracks of running U-Bahn trains above you. The other half is the thing that you spend the 20 minutes drooling over while you watch other people eat them. Their burgers. They’re ridiculous. Golden toasted brioche bun, juicy chargrilled patty that’s 100% meat, a slice of tomato, a leaf of lettuce and (because it’s the one everyone asks for) a slab of cheddar cheese. And they have fat chips! Shoestring fries must fall! I feel a second visit coming on. The German obsession with efficiency is even on display at Museum Island, where all five of Berlin’s main museums (Pergamon Museum, Bode-Museum, Neues / New Museum, Alte Nationalgalerie / Old National Gallery, and Altes / Old Museum) are housed in one place, on a separate patch of land, surrounded by water, making it easy to move between them. Right next to the museums is the Berlin Cathedral, a spectacular baroque building commissioned in 1747, adorned inside and out with gold and religious history that must make it a very special place for those who use it as a spiritual sanctuary. This is the heritage, culture and architecture that puts Europe at the top of my favourite places list. It’s hard to truly take in the scale and intricacy of the buildings, statues and reverence for the monuments that still celebrate the soul of the past. A bar in the sky in the middle of Berlin, right next to the Berlin zoo, filled with branches, leaves and brilliant food.